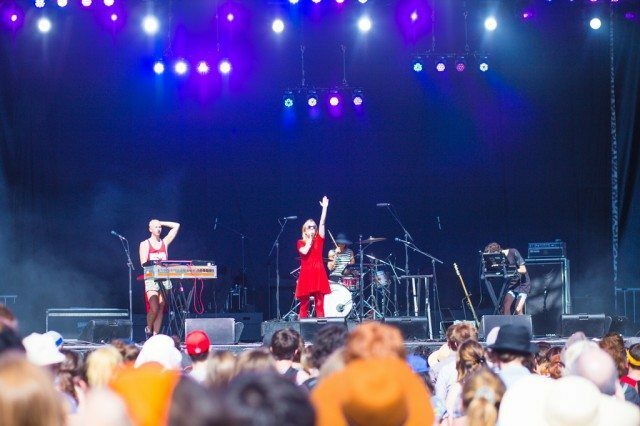 Austra, which made this year’s Polaris long list. Now that the issue has been debated (in that Rob Ford voted against it and then said he hadn’t meant to do that and wanted to vote again), the City will proceed with its plans to honour Nelson Mandela through a street dedication. You can help the City decide which of five possible street locations will receive the distinction by filling out a survey. The Polaris Music Prize long list is out—and some worthy, deserve-to-be-better-known Toronto acts have made the cut, as has at least one artist who is as world-famous as Drake, in that he is Drake. BlackBerry has “beaten expectations” with a $23-million Q1 profit. We’re not sure whether that is, in fact, good—or simply better than the kind of expectations people are now used to having when it comes to BlackBerry. We are sure, though, that its new keyboard smartphone—”which features one fewer row of keys and a screen that fits more characters per row”—is worrisome, because we are old and fear change and do not think keys should be taken away.